MIVVA is an online beauty shop. Besides selling beauty products, MIVVA also has a popular section called The MIVVA BeautyBox where everyone can sign up a personalized box of deluxe beauty products in various sizes and samples. The idea is really creative as it allows everyone to try beauty products without having to spend a full amount if one is not familiar with the product. As each individual’s skin and body is unique, MIVVA BeautyBox allows elements of fun and surprise to each individual in trying out the products. These beauty boxes come with a diverse selection of products ranging from skincare to makeup to body and hair care plus a few little knick knacks thrown in! 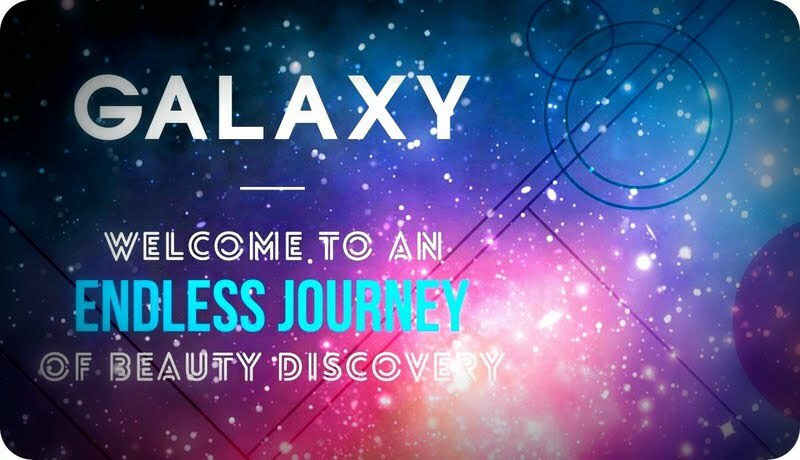 MIVVA BeautyBox features different theme each month and this month happens to be Galaxy for April. This edition features the crème de la crème of the beauty galaxy. This month, MIVVA beauty box features a pastel pink and blue theme box filled with lots of beauty surprises. I adored the theme color and will definitely use the box for some precious storage. Listed in no particular order are 7 products, 1 voucher and a token. I used to remove my blackheads with the traditional method of using egg white and cotton pad, then came those stick-on and peel-offs which really has one feeling dry and sticky after using it. There is always the basic squeezing ways but that is fairly painful after a few extractions. Well, I tried b.liv and was quite pleased with the results. The gel only needs to be applied after cleansing on daily basis with a few drops on the affected area. It is quite cooling and what I like most is that after applying it, one can just leave it on for its magic to work. Asian women tend to favor fairer skin and I am no different. I have used several other whitening products before and could never get much result. I am glad I have another one to try now in this beauty box. Beautymate is made in Taiwan and the essence is white and runny. It is said to brighten up dull skin and since I only tried this a few times, I haven’t really had a chance to see the result. One thing positive is that I have super sensitive skin that will react to quite a lot of skin care products but so far, my skin has been behaving well after using this which already is a good sign. To add further, it smells really nice and light! The liquid is colorless and unscented with a watery texture. It absorbs easily and fast upon application and it light with no trace of oil. After application, it does make the skin a little smoother before I apply on the rest of the products and make up. The remover cleansing gel is decent as I can easily remove my make up after an evening out. The only setback is my mascara wasn’t completely removed but then again I have yet to find a good cleansing gel that can really remove my mascara. The sunscreen also fared average but because it was a small sachet, it was harder to review this. It would be better if they provide a few sachets for a better review. Charcoal does have many benefits! In fact, it is also good when applied for a deep detox on the face. As this is a whitening mask, I feel it’s really suitable for me since I always choose to opt for a fairer complexion. While most mask is plain white, this one has some design on it, something a little different. I have dry and coarse hair so I really tried a lot of products out there to tame my big lioness’ mane. What I like was that there was 10 sachets of Korean hair shampoo and hair pack for the try-out. After using both together, I can feel my hair texture remains less frizzy and smoother. I also notice a nice sheen on my hair. A little extra fun comes in the form of hair chalk! This is so new to me and I was checking this out when I saw how fun this can be. 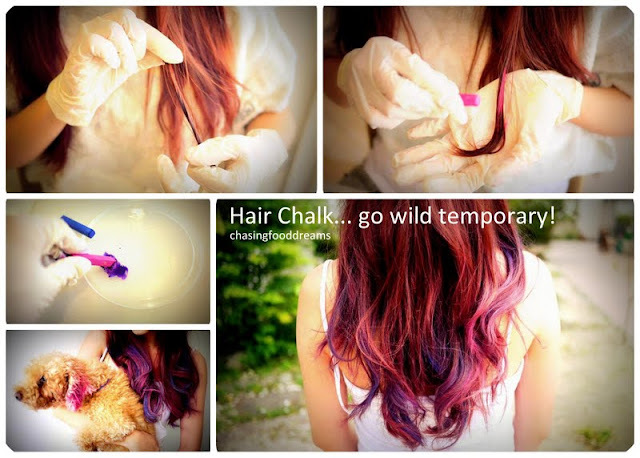 Great for temporary functions and parties, get creative and chalked your hair simply by rubbing the chalk on dry hair. One can also dip the chalk in water and mix the colors for extra effects before rubbing in the colors on the hair…super fun… I cannot wait to try this! There was also a gift voucher worth RM32.50 for a waxing treatment. Doubt I would use this as I am quite a chicken when it comes to waxing… however, this would make a nice pressie for my sister. A useful knick knack that comes in handy all the time for every female’s favorite hobby… shopping! It has been a nice surprise unboxing a MIVVA BeautyBox. At least there was a full sized item and the products given are useful on daily basis so its worthy of the subscription. How to get one? It’s really easy-peasy to get one your hands on one of these beauty box! Simply register to become a MIVVA member, create your beauty profile and pick your desired MIVVA BeautyBox. Wait for delivery and enjoy the product try-outs at the comfort of your home and pace. If you like it, earn MIVVA points by submitting reviews, referring friends and with every purchase, redeem and save on full-size products. it does.. I also think so too.. just rub it into dry hair else dip the chalk in a little water and then rub it on your hair. That hair chalk looks like lots of fun! Ah Lim Seafood, Kota Kemuning: A Crabby Affair!